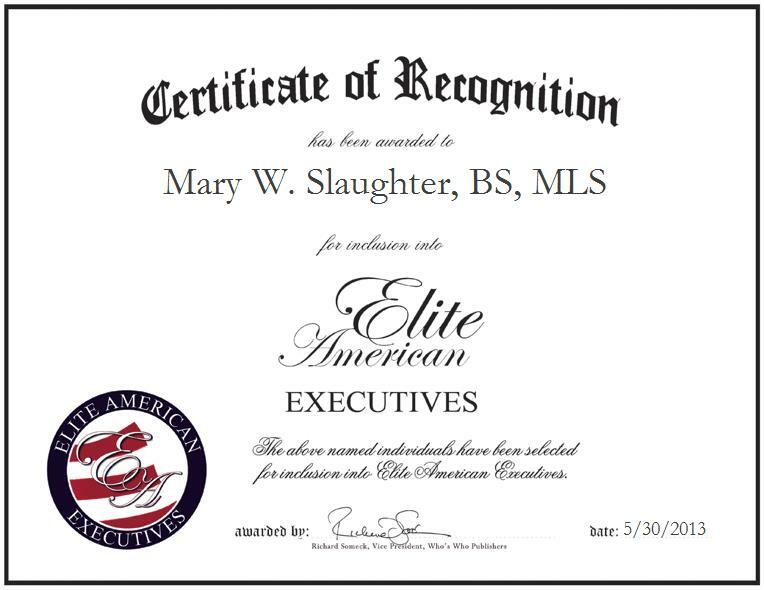 WRIGHTSVILLE, GA, May 30, 2013, Mary W. Slaughter, BS, MLS, President of Associated Housing & Economic Development, has been recognized by Elite American Executives for dedication, achievements, and leadership in Spanish instruction at the secondary level. In her executive leadership role at a government organization that specializes in economic development and affordable housing programs and legal services, Ms. Slaughter makes the most of her knowledge and experience, and proficiencies that have been honed in the field of operations management. She is currently in charge of overseeing housing services for low-income individuals and families, as well as the project director who overlooks the day to day business operations. She is also in charge of working with the project director on writing grants, serving as a certified housing counselor for the business, and interviewing candidates for housing. Ms. Slaughter has garnered a reputation of distinction for promoting and keeping funded low income housing in Johnson County and keeping the organization growing and flourishing for the community. She is a recipient of the prestigious Service Award, as granted by St. James Episcopal Church, and the Glowing Star Ministers Spouse Award, as granted by the 6th Episcopal District in 2012. Despite having achieved many of her professional and personal goals over the course of a rewarding career, Ms. Slaughter pinpoints the most gratifying aspect of her career as seeing others achieve their dreams of owning a home.